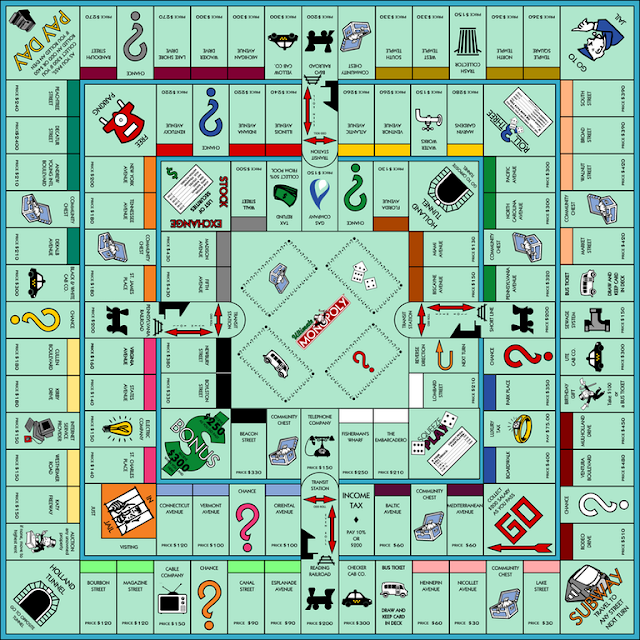 TYWKIWDBI directs our attention to the ultimate, extended Monopoly board—which was apparently prototyped, with the rules of play laid out here but was never put into production due to (ironically) copyright issues. 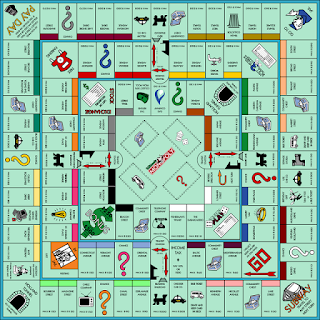 The discussion at the source thread is a pretty interesting one on how most game play is conducted according to house-rules and most never bother with the formal instructions. Would you like to play this Inception-version of the game? Maybe an enterprising designer could pull it off and successfully pitch it to the company.